An elephant was brought to a town one day filled with people who had never even heard of an elephant. Among the residents was a group of blind men. These blind men inspected the creature via touch. This story was originally used to teach perspective but later it became known for explaining away various religions. Many people use this analogy to show that every different religion is like a different blind person. They only have a part of the story that is informed by their biases and they are all correct and incorrect to some degree. However, this interpretation ignores the presence of the narrator who knows without a doubt that the creature is not a snake, or a fan, or a tree, or a wall, or a rope, or a spear. The narrator sees the entire picture and knows an elephant when he sees one. The above phrase was intended to show tolerance to all religions. After all, we currently live in a world where everyone is right all of the time. We do not want to offend or hurt anyone’s feelings. However, this phrase “All religions are the same” is actually extremely offensive. In stating that all religions are the same, you take away the complexity, the authenticity, and the detailed nature of each religion and you offend those who practice it. Buddhism is not Hinduism, Hinduism is not Islam, Islam is not Christianity. Every Religion Has a Different View of God & a Different View of Salvation. I believe that there is in elephant in the room and that elephant is religion. All of the religions of the world attempt to understand that elephant. However, I stand by the idea that we have a narrator who depicts what true faith is and that narrator is Jesus. One of the major differences between Christianity and every other religion is that in other religion’s man is the hero. In Christianity, man is weak and God is the hero. Perhaps we do not like admitting our own weaknesses, but I can admit to mine. I do believe that faith in Jesus is the only road to salvation. However, please know that this does not mean that I do not love or respect others any less due to their religious beliefs. I share my faith because I believe that it brings about salvation and because I want everyone to have the opportunity to hear or read about the love of God at least once in their lives. I am more than open to discussing my faith or your questions in the comments, but please remember I will never approve any hateful or derogatory comments. Are you lacking Courage in your Life? Can we be honest with each other? Because if we are being honest, I think we can admit that at one point or another we are all lacking courage. We lack the courage to do what is right, to speak the truth, to chase after a dream, etc. Recently, a pastor at Sandal’s Church spoke about courage, specifically Godly Courage. Reading a passage from the Bible, the pastor focused on Judges 3:12-30 which tells the story of how Ehud, an Israelite enslaved by the Moabites, rose up against his oppressors and led his people to freedom. 12 Once again the Israelites did evil in the Lord’s sight, and the Lord gave King Eglon of Moab control over Israel because of their evil.. . . 14 And the Israelites served Eglon of Moab for eighteen years. 15 But when the people of Israel cried out to the Lord for help, the Lord again raised up a rescuer to save them. His name was Ehud son of Gera, a left-handed man of the tribe of Benjamin. The Israelites sent Ehud to deliver their tribute money to King Eglon of Moab. 16 So Ehud made a double-edged dagger that was about a foot long, and he strapped it to his right thigh, keeping it hidden under his clothing. 17 He brought the tribute money to Eglon, who was very fat. So the king commanded his servants, “Be quiet!” and he sent them all out of the room. 20 Ehud walked over to Eglon, who was sitting alone in a cool upstairs room. And Ehud said, “I have a message from God for you!” As King Eglon rose from his seat, 21 Ehud reached with his left hand, pulled out the dagger strapped to his right thigh, and plunged it into the king’s belly. 22 The dagger went so deep that the handle disappeared beneath the king’s fat. So Ehud did not pull out the dagger, and the king’s bowels emptied. [b] 23 Then Ehud closed and locked the doors of the room and escaped down the latrine. [c]24 After Ehud was gone, the king’s servants returned and found the doors to the upstairs room locked. They thought he might be using the latrine in the room, 25 so they waited. But when the king didn’t come out after a long delay, they became concerned and got a key. And when they opened the doors, they found their master dead on the floor. 26 While the servants were waiting, Ehud escaped, passing the stone idols on his way to Seirah. 27 When he arrived in the hill country of Ephraim, Ehud sounded a call to arms. Then he led a band of Israelites down from the hills. 28 “Follow me,” he said, “for the Lord has given you victory over Moab your enemy.” So they followed him. And the Israelites took control of the shallow crossings of the Jordan River across from Moab, preventing anyone from crossing. 29 They attacked the Moabites and killed about 10,000 of their strongest and most able-bodied warriors. Not one of them escaped. 30 So Moab was conquered by Israel that day, and there was peace in the land for eighty years. To have courage at all, we must first turn to God. Think of Ehud. In the passage it says that Ehud was a left-handed man which is translated to mean that his right had was either damaged or bound, meaning he was most likely cripple in some way. 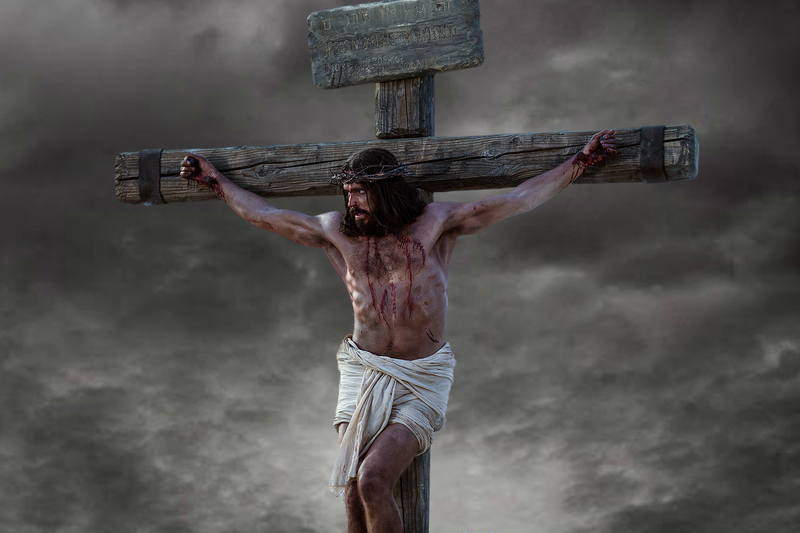 His courage could not come from his own physical abilities, but instead it came from his faith in God. Next, we must prepare for action.Although Ehud did not know what he would do, he had prepared a dagger beforehand ready for anything. After turning to God and preparing, we must face our fears.Again, Ehud was only one man and when he first went before the king, he let his fear get the best of him and he left. However, it was after leaving the king that Ehud saw the stones of the idols and trusting in God, he prepared to face his fears. Courage is not the absence of fear but acting despite the presence of fear. Courage in not about personality, but it is about our purpose in serving God and being a difference maker for our generation. I Corinthians 16:13-14, “Be on guard. Stand firm in the faith. Be courageous. Be strong. And do everything with love.” Isn’t it wonderful how everything comes back to love with God? Next, we must do what others won’t.Ehud was not the most skilled warrior, remember his bound-up right hand? However, he was willing to do what others would not because of his faith in God. James 2:18, “Now someone may argue, ‘Some people have faith; others have good deeds.’ But I say, ‘How can you show me your faith if you don’t have good deads?’ I will show you my faith by my good deeds.” Indeed, our actions speak louder than words and reveal who we truly are. Lastly, we must lead with what God has given us.All of us struggle to find our way, to find our courage. All of us were given a specific purpose and sometimes it is hard to find that purpose. Whatever it is, God equips us with the necessary tools to get the job done. What do you need to be courageous about this week? 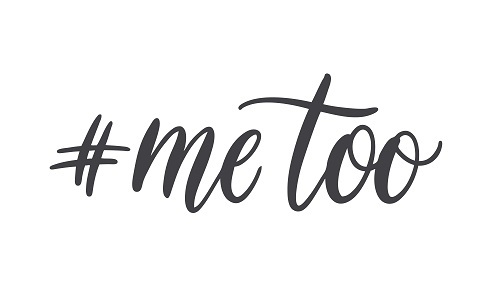 For those of you who are unfamiliar with the #metoo movement (have you been living under a rock? ), let me briefly explain it to you. In the United States 1 in 4 girls are sexually assaulted; 1 – 6 boys are also sexually assaulted because evil does not discriminate against gender. Unfortunately, I know at least 3 women who are close to me who have been sexually assaulted. The #metoo movement began as a way for fellow sexual abuse victims to support their sisters and brothers by coming out with their own horror stories. In additional to support, the frequency of the #metoo hashtag was intended to show just how vast this problem truly is! Now, Sandals Church is asking the question that others everywhere are asking: where is God in this situation? To further explain, Pastor Matt Brown, his wife Tammy and close friend Christina took the stage to help the Church understand God’s Heart for the abused. This Sunday sermon was quite different from what you might expect from church. Pastor Matt sat on an armchair while his wife and close friend sat on a couch on the stage. Matt explained that this sermon would be different because of the subject. Both Tammy and Christina had been sexually abused and both were there to share their stories, but more importantly to share how God helped heal them. We cannot pretend that this is not a problem, it is, and it is something that we have to address and confront. So many times, those who have been sexually abused just need someone who will listen without judging, without pretending to understand, without offering “Christian blibs” – (God never gives your more than you can handle). Just listen. The abused don’t just need dealing they need the Healer. One of the most powerful things Pastor Matt did during this sermon came at the end when he touched on this bullet point. He admits that in a church as large as Sandals there are bound to be evil people and sexual abusers. “This week I watched a father in tears in a court in the U.S.A. lunge at the molester of his daughters, a doctor whom he trusted, he lunged at them and he was stopped by police officers and if you listen very carefully, you can hear the police officers trying to calm him down by saying “We understand.” And the father is writhing and here is why: because no matter how long they lock that predator up there is no justice on this earth. But I want you to know, if you’ve been abused, you have a father in Heaven, and when he pounces, there is NO ONE who can hold him back. NO ONE. And Jesus Christ’s harshest words are these: If you hurt one of these little ones you are better off drowning yourself. . . . . . . If you want mercy from God, you must throw yourself to the mercy of the courts! We are to be safe/ be a safe place for the abused. Have you been abused? Have you been hurt? I am so sorry for your pain. I am sorry for what has happened. I know that there is very little that I can do to take away your pain, but there are people who want to help. Please seek help either from friends or family, your church or even from Sandals church at: move.sc/help to connect with Soul Care. Watch the whole sermon here! Life is not perfect, and the thing is, we were never guaranteed that life would be. Life is hard and often times we go through struggles, we go through hard times, and we go through pain. For those of you who are going through hard times, I am sorry. I do not/cannot understand your pain but I do know that you do not have to go through your pain alone. Lately my Pastor preached on how God acts and responds to our tough times. I found it enlightening and comforting, I hope that you do as well. John 9, “As Jesus was walking along, he saw a man who had been blind from birth. Did you know that the pool of Siloam was hidden for years? Because scholars could not locate the pool, they dismissed this event as only a fabricated story. However, in 2004, the actual pool was located in Jerusalem when utility pipes needed repairing. These stories within the Bible are not just stories, they are true events. Now, what does this have to do with me and my own hard times? This is what most of us pray for during hard times. We pray for a change, we pray that what is wrong will get better. And sometimes, that is the answer to prayer. God always answer prayer, even if that is not a yes. Sometimes the answer is no or not yet. God is not a genie to grant wishes, and sometimes that means that we do not get the answer we want. When we don’t get that answer, God is often trying to change our hearts. Therefore, we must expect difficulty and prepare for tough times. Life is not easy and not everything that hurts is evil and not everything that feels good is godly. Sometimes our suffering is used to bring us to God, to show God’s power, or to teach us how to have compassion for others. God allows us to hurt physically and emotionally to direct us spiritually. I believe that God is there for each and every one of us. If you ever want to talk about God, please feel free to ask me questions. I am not an expert, but I am a follower who enjoys talking about my Savior. I fully believe that each and every one of us were intentionally placed on this earth with a specific purpose and, as a Christian, I believe that purpose centers on Christ. From time to time, I intend to post on the message that I heard in church, especially if it resonates strongly with me. This week we talked all about purpose. What is your purpose? What is mine? As a writer, some might think that I consider writing to be my purpose. Within the church, every member is a single pebble. However, each pebble is able to come together to form a foundation and then a structure and then the church of God. I want to be involved in building that church. But don’t get me wrong or turn away in disgust. I am NOT saying that as a Christian I cannot be a writer, a poet, or an artist. I truly believe that God has given us gifts and talents and He intends for us to use them. God does not mind if I write, as long as that does not come before him. What is your purpose? Do you have one? Do you believe that you do? It is not my intention in this post to make you feel uncomfortable, but I hope that it might open up a dialogue. I am always willing to discuss my faith. Happy Writing & Reading Everyone!